Why I start almost every infection removal with Malwarebytes. Over the years I have really heavily used Malwarebytes to start the diagnostic process for a lot of my clients. If their machine seemed to be infected or was just slow, that was the tool I pulled out first. Let’s take a closer look at why that is. In my field I could use pretty much any diagnostic tool out there, and I have a large arsenal from which to choose. The majority of the time however I reach for the same one, Malwarebytes. It has consistently proven itself to be one of the most reliable “thermometers” out there to tell me what is going on with a computer quickly. A typical example will be that a customer tells me their machine is slow and they tend to get a lot of pop-ups when browsing the web. This makes me think it is infected with spyware so it makes sense to reach for a tool who’s primary purpose is spyware removal. The funny thing is that when it starts the file portion of the scan, it stutters and scans very slowly. Sometimes there are long pauses between files. It seemed to have no problem with the memory section. Right here I stop the scan, reboot the computer and start a hard drive test. Of course if the initial scan from Malwarebytes ran through without the herky-jerkies on the file portion, the odds are good that it will remove the majority of the popular nasties out there. This product is extremely good at this and will often clean a computer without the aid of other products at all. So how do you know if it got everything without running thirty more scans with thirty different products? You really don’t, but here is where experience with a product comes in really handy. In my experience, if Malwarebytes finds a few to less than a hundred issues and either none of them, or just a few, are serious threats (they show up in bright red if they are serious threats, orange if they are just minor issues) then the odds are very high it has completely cleaned the machine (or at least cleaned it enough to remove any problems). If on the other hand there are hundreds or thousands of issues, even if only one or two of them are serious, I will reach for other scanners to ensure the machine is clean. Then there are the times when you can not get the software to run at all. If the machine seems to run other software fine, as long as it is not anti-virus or anti-spyware, then the issue is probably a serious infection which may need to be addressed in safe mode. You can also remove the hard drive from the infected machine and scan it on another computer if scanning in safe mode fails. If Malwarebytes fails to run or scan but other programs do not work either, drop back and test the hard drive. Should that pass, test the memory. Keep in mind however that hard drives can pass a standard hard drive test and still be bad. Those are usually the ones that you get the stuttering file system scans in Malwarebytes from, or at least a very slow scan. At this point you can clone the hard drive over to a new drive and try the scan again to see if that solves the issue. 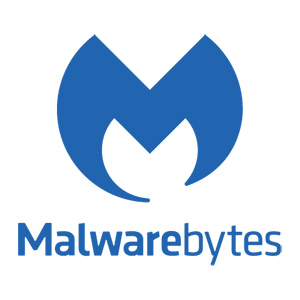 If you have not used Malwarebytes you should go take a look at their website. They have both a free version and a pro version for the typical user as well as several products targeted at businesses. The pro version adds real time protection into the mix as well as an antivirus. The free version is for on-demand spyware removal only. Hopefully this little taste of standard computer diagnostics shows you why Malwarebytes is often the first tool in my toolbox to be used on a customer’s computer.